Footage of the July shooting shows officers chasing suspect Gene Atkins after they say he shot his grandmother and kidnapped his girlfriend. A Silver Lake Trader Joe's assistant manager was killed by a police bullet when an armed suspect fled into the store. Suspect Gene Evin Atkins was expected to be arraigned Wednesday. Attorneys for the family of Melyda "Mely" Corado said the claims allege civil rights violations. 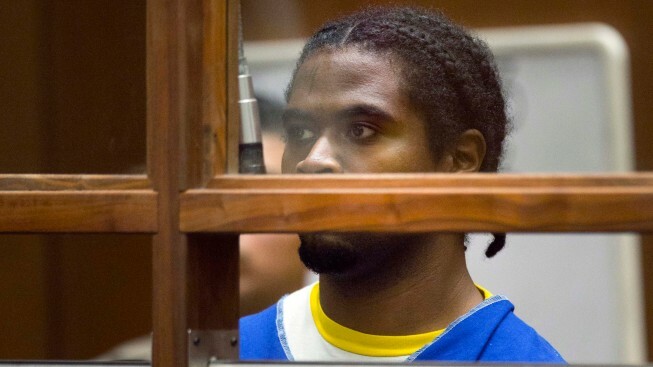 A man charged with murder in the death of a Trader Joe's assistant manager killed by a police amid a shootout at the Silver Lake store was set to be arraigned Wednesday. The arraignment was postponed until Dec. 17 after Atkins said he wanted to act as his own attorney. Gene Evin Atkins is also charged with 50 other counts, including shooting and wounding his grandmother and a 17-year-old girl, and firing at police officers in the July 21 standoff. He was charged with murder for Melyda "Mely" Corado's death, even though he did not fire the shot that killed her. He was charged under the theory that he set off the chain of events leading to her death. Police release new body camera footage of the Trader Joe's barricade, and the victim's family speaks. Gordon Tokumatsu reports for NBC4 News at 6 p.m. on Sept. 3, 2018. Police said the 27-year-old assistant manager was struck by a bullet fired by an officer toward Atkins, 28. 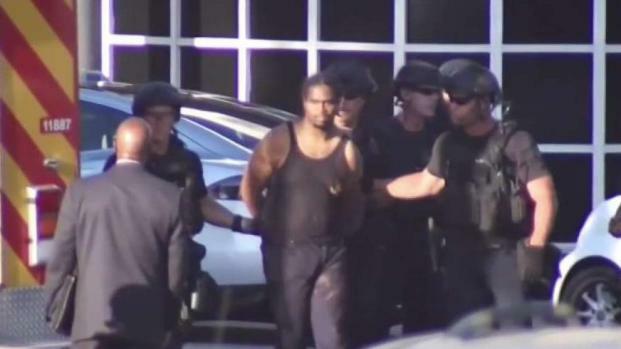 He was accused of leading police on a chase from Hollywood to Silver Lake after allegedly shooting his 76-year-old grandmother, Mary Elizabeth Madison, and a 17-year-old girl around 1:30 p.m. at his grandmother's South Los Angeles home in the 1600 block of East 32nd Street. He then allegedly kidnapped the teenager and drove off in his grandmother's 2015 Toyota Camry. Police spotted him in Hollywood, sparking the chase in which Atkins fired shots at pursuing officers through the rear window of the Camry, according to LAPD Chief Michel Moore. A short time later, Atkins crashed into a light pole outside the Trader Joe's in the 2700 block of Hyperion Avenue, leading to the gunfire and standoff at the store. Corado was struck by a police bullet when she walked to the front of the store, police said previously. Moore said after the shooting that his officers were under fire from Atkins, and he said they did "what they needed to do in order to defend the people of Los Angeles and defend the people in that store and defend themselves." Moore, who apologized to the Corado family after learning she was struck by an officer's bullet, called the shooting "every officer's worst nightmare, to harm an innocent bystander during a violent engagement." Atkins holed up inside the store for about three hours, with dozens of customers and employees still inside the store, before surrendering peacefully. The family of Melyda "Mely" Corado filed a lawsuit against the Los Angeles Police Department alleging civil rights violations, battery, excessive force, negligence, infliction of emotional distress, failure to adequately train officers and conspiracy to cover-up wrongful misconduct. It was unclear how much money the family is seeking. The man accused of allegedly causing the Silver Lake Trader Joe's shooting incident that resulted in one death is facing new charges. Angie Crouch reports for NBC4 News on Thursday, August 16, 2018. 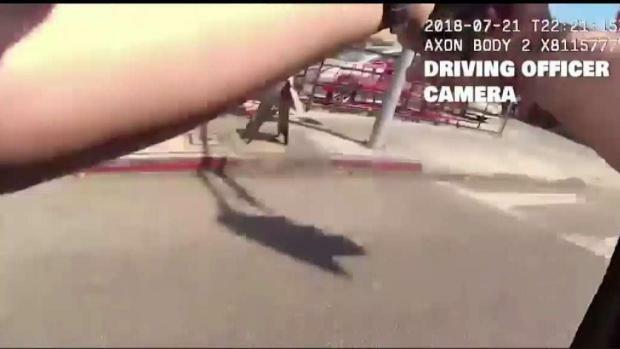 Attorneys for the Corado family months ago criticized the LAPD for releasing edited dash-cam and body-camera footage of the shooting in what they deemed an orchestrated effort to frame the events leading to her death in support of the officer's actions. They said they want to see the complete, unedited video footage. A spokesman for the LAPD said the department does not comment on litigation matters. Atkins' bail is set at $15.1 million.